Date: Apr 28 2018, 5 p.m.
We need your help to solve the mystery! The birds are chirping, the sun is shining, but the wedding bells are not ringing for this “not-so-happy” couple. A member of the wedding party has been murdered and with a raging “bridezilla” and an unenthused groom on the scene; your assistance is greatly needed. 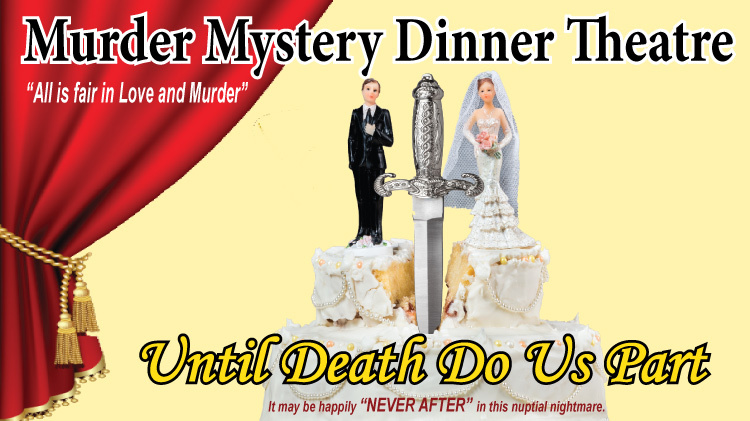 Trade clues with your guests and help the hapless couple figure out “whodunnit” so they can say “I Do” before the wedding hour passes. The bride and groom are not concerned about what you wear, so wear what ever you choose; your own wedding dress or the most ridiculous wedding attire you can find, either way it will make their special day that much more unique!